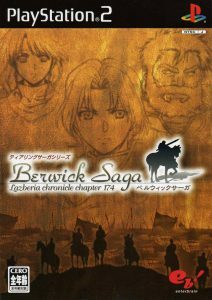 Berwick Saga English Translation Live Stream Now! If you’ve been keeping up with Aethin’s translation efforts for Shozou Kaga’s Berwick Saga, you may be interested in paying a visit to Lord Raven’s Twitch server. Lord Raven’s Twitch channel (Click there), is live Now. Come and watch, to keep up while he and Aethin continue their gameplay through Chapter 4! If you miss the stream, you can still keep up with Aethin’s work and the translation here, in its Serenes Forest thread. As a recap: Serenes Forest user Aethin has been hard at work, assembling a fantastic English translation of this Japanese-exclusive title for players to finally enjoy in our English-dominant region. He’s completed about 2/3 of the translation project (66.2% to be precise), and another Serenes Forest user Lord Raven has been working with Aethin as a player of the game to showcase it for the world to enjoy.